Often associated with passion, love, power and courage, RED is eternally à la mode. It is the color to make you fall in love… with a dress… or a coat… or a lipstick… or anything, actually. Seeing it makes our hearts beat faster and maybe this is the reason why we, inevitably, are amour fou for this color. It provokes emotions, attracts attention and the person who feels that winter is a boring, dark and dull time of the year, clearly has not been wearing a lot of red. 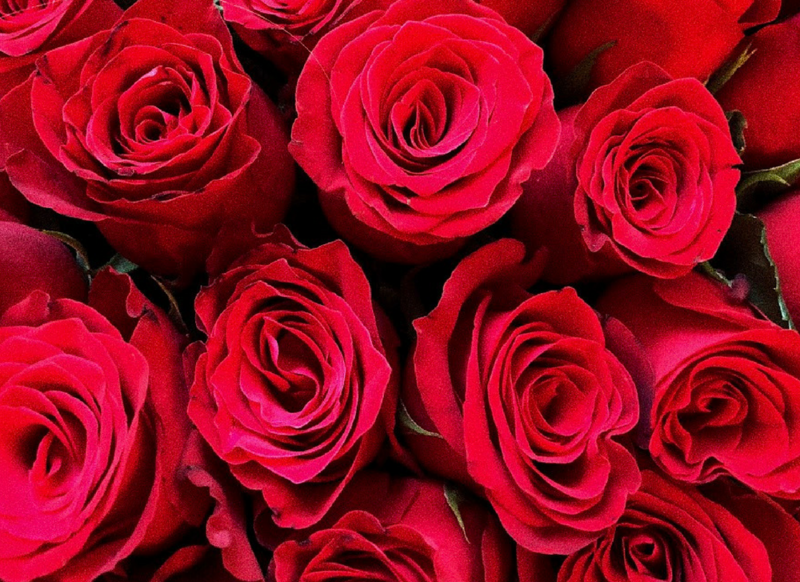 Red is the most prominent color in history. It has been both a color of condemnation to eternal punishment in hell as well as a symbol of divine love and of the Holy Ghost. Crimson red robes were worn by the high priests of ancient Greece and the Popes before it was replaced with white garments. Even today, Chinese brides wear red wedding dresses for good luck. Red is written all over the history of the world. In fashion, red has been vital for many of the fashion-shaping, world-changing brands. Although the years and seasons go by, red on catwalks stays. Take the sensual Louboutin’s shoes with the red soles or the iconic Valentino’s red dress with its distinctive bright red shade that mixes carmine, cadmium and purple. 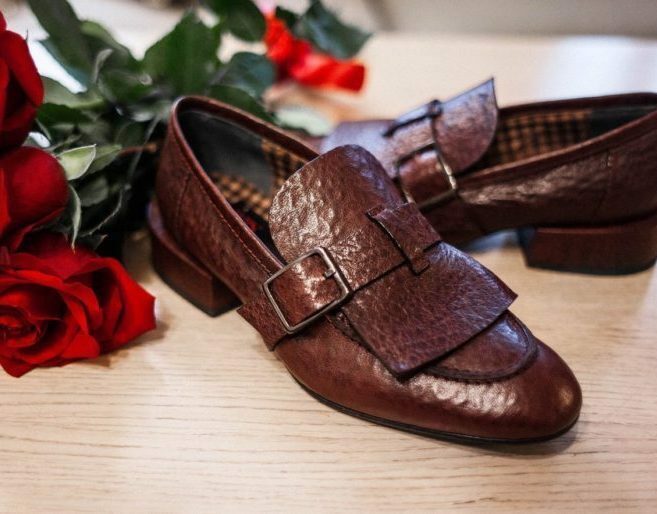 Timeless, attractive, fascinating, passionate and designed for stylish and self-confident women. And let’s not forget about the one and only “Rouge Dior” lipstick. The scarlet shade lipstick that “dressed the women’s smile” in 1953. It has also been an important part of many shows, including Acne, Hermes and Yoshji Yamamoto with their head-to-toe all red looks. Red with its fierceness and emotional intensity has turned the fashion world upside down. Scarlet, crimson, fuchsia, maroon, burgundy, ruby etc.– the variations are endless. Some more shocking and extreme and others more subtle and refined. FALL – burgundy, chestnut, terra cotta, maroon. WINTER – crimson, scarlet, vermilion. SPRING – rose, coral, dark pink, cerise, fuchsia. SUMMER – raspberry, scarlet, roscolene, amaranth, magenta. If there is one color this season that took the runways with the divide-and-conquer mindset, it’s red. Since it also has won a reputation for being a color par excellence, there’s no wonder that designers such as Balenciaga, Fendi, Max Mara, Givenchy, Valentino and many others worked the hue in their fall ’17 season collections. Head-to-toe, different shades and matching: one thing was left clear – go bold, or go home. Unsurprisingly, no color is as hard to combine as red. 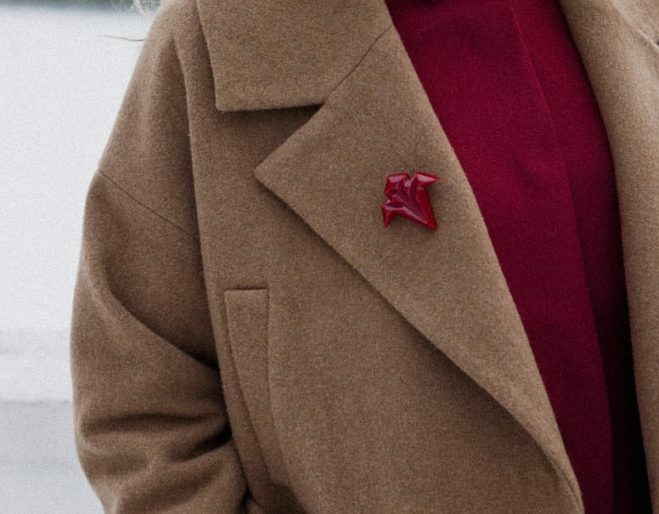 However, since many designers called us out this season to pull off layers on layers of fiery red and wear it with full and utter confidence, there’s no backing down. The bolder, the better is the anthem for this year’s collections. 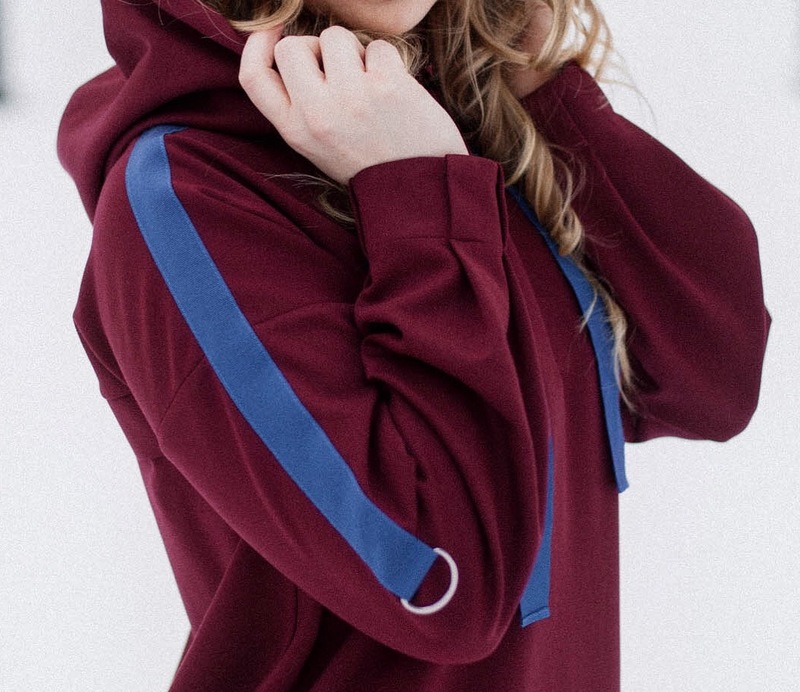 Start off with a hint of red. If going all in is too much for you at first start out with red lips, red nails or a red clutch. Fashion experts always recommend to incorporate at least a splash of red when dressing for something important. As it symbolizes leadership and decisiveness, wearing red is supposed to make you look more influential and respected. Although combining red with black is a classic, perhaps it’s time to get out of the comfort zone and be a bit more brave when it comes to mixing and incorporating different shades of red. Yes, that most definitely includes pink, terra cotta, fuchsia etc. 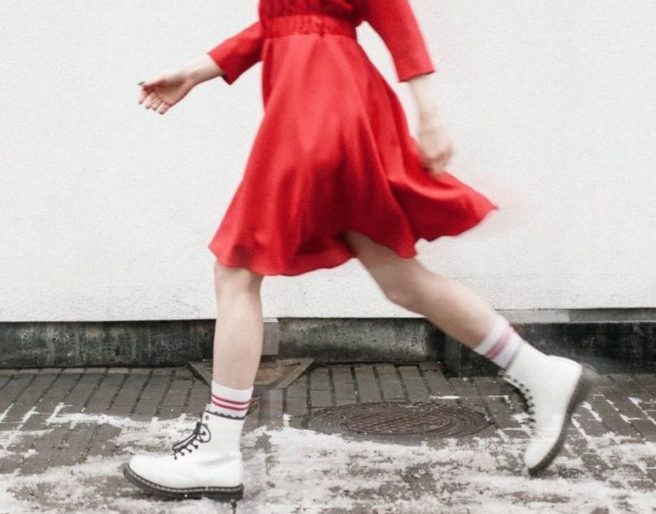 A scarlet red dress with light orange-pink shoes compliment a woman in every way – it makes you look taller and leaves out the dramatic effect of red and black. Monochrome is probably the most popular word this fall. Work with different textures and patters to form some visual friction. It’s a way to make you stand out, it’s more stunning and exciting than any color-combined outfit. There has also been an ongoing dilemma about which shades of red you should wear that best suits your hair color. If you’re blonde you’re in luck since your skin undertone is probably more flattering to all shades of red, including the audacious scarlet red. There are some shades for brunettes that will probably suit them better, for example spicy, yet soft coral red. However, no matter the shade, as long as you wear it with confidence, you’ll look good. Let red do the work for you. 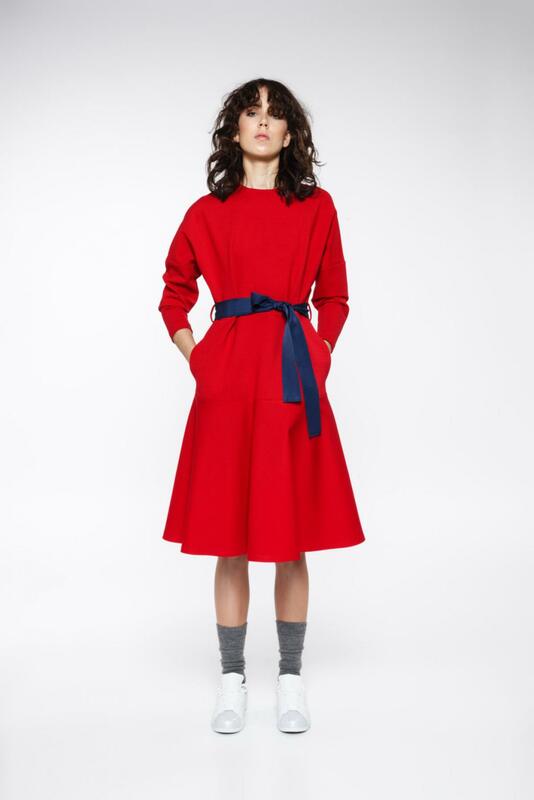 Oh, and there’s no need to worry, because once spring comes, red will be continuing its long-lasting rein as it’s also trending in the Spring 2018 collections. Red never goes out of style, so “When in doubt, wear red,” – Bill Blass.